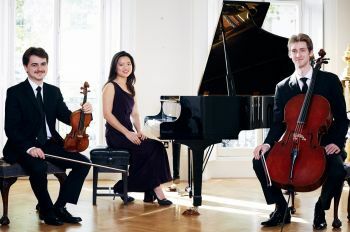 Following their acclaimed London debut at the Southbank Centre's Purcell Room in 2014, the Minerva Piano Trio are rapidly establishing themselves as one of the UK's finest trios. Their performances are recognised for both ensemble musicianship and soloistic flair. Brahms's Piano Trio in B major Op. 8 (original version) is rarely performed. This concert is part of the Minerva Trio's ongoing project to explore works by the Schumann circle, culminating in a series of concerts and workshops in 2015.